Sprint is leaving Target's retail space. Consumer Cellular will take over its displays giving the brand a more pronounced presence in the store. This change was first noted by Wave7 Research. According to Wave7 Research, multiple sources in several states have confirmed the move. BestMVNO confirmed the change locally with one store in the process of setting up a new Consumer Cellular display, and another marking Sprint inventory on clearance. A third store had not made any changes yet, but an employee confirmed to BestMVNO a move was likely pending soon. 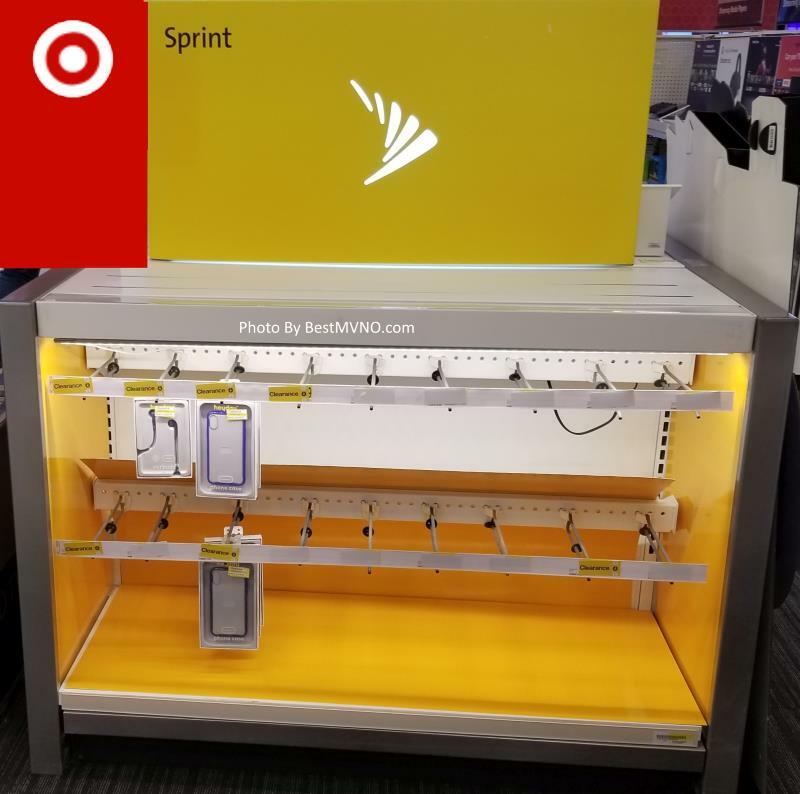 In one store, where Sprint inventory had already been cleared out, a rep told BestMVNO that Sprint generally doesn't sell well in Target except for perhaps in a few locations. He also confirmed that they sell more Consumer Cellular wireless service than anything else. A similar sentiment was previously echoed to BestMVNO by Wave7 Research. So Sprint's withdrawal and the highlighting of Consumer Cellular more in stores certainly makes a lot of sense. Consumer Cellular has been growing its relationship with Target for several years. The partnership first began in 2014 when Consumer Cellular phones and plans began to sell in more than 1800 Target stores nationwide. In 2017 Target became a customer service center for Consumer Cellular. That meant those who experienced trouble with their phone service that could not be resolved through a Consumer Cellular call center could now visit their local Target store for help. What Makes These Changes Significant? According to Wave7 Research, this transition likely won't mean much for consumers. At worst, it may be a minor inconvenience to Sprint customers that live closer to a Target store than a Sprint store. Consumer Cellular and its subscribers will stand to benefit the most. The MVNO will now be featured front and center in the wireless department of many Target stores. This should theoretically help Consumer Cellular grow even more. Customers meanwhile may find further improvements to the in-store Consumer Cellular customer support experience. Verizon and AT&T may also benefit, as there will be one less low-cost postpaid competitor each has to compete with in the store. As for Sprint, it will continue to evolve its distribution strategy. The carrier has been working to increase online sales and activations. Sprint also seems to feel that Walmart may better meet its retail needs. Last summer Sprint chairman Marcelo Claure tweeted that Sprint expanded into 700 Walmart stores. With its exit from Target, this relationship could expand further. Wave7 Research has also noted that the carrier is trialing "store within a store" at 80+ Walgreens locations. Consumer Cellular is an MVNO that has historically primarily operated on the AT&T network. However, in 2015 Consumer Cellular began offering services on the T-Mobile network. The brand's target audience is older Americans. In fact, AARP members enjoy extra benefits with the MVNO. Benefits include a 5% discount off monthly fees and usage charges, a 30% discount off select accessories, plus an extended 45-day money back, risk-free guarantee.